We are providing co-op-housing society registration services in ahmedabad gujarat india. 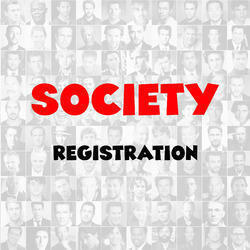 For Registration of Society, The following Documents are Required: Id and Address Proof of 7 members. Office electricity Bill. 1 Photo of each member Rental Agreement.. Registration of Society Registration certificate will be given once all the formatlities completed. Time may be taken 5 to 10 working days. - Preparation of Memorandum, Rules and Bye-Laws. - Registration U/s 12A and 80G of Income tax Act. - Registration under Foreign Contribution Regulation Act (FCRA), viz, Prior approval & Permanent registration. 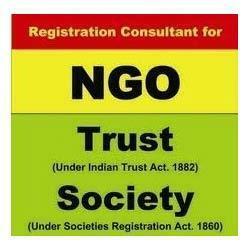 The word NGO denotes to registered Trust, Societies, Cooperative societies, Endowments, Non profit companies etc. Working for the welfare, Development and progress of people and in a way supplement similar functions of the state and hence, Called as Non Government Organizations (NGOs). Supported by highly accomplished crew of employees, we are rendering Society Registration Service. These provided services are delivered under the stern supervision of adroit personnel as per set industry principles. In addition to this, these provided services are attributed amid our client for reliability and cost effectiveness. Our firm has made unbelievable breakthrough in the providing NITI AAYOG Registration Services.Attributed for its flexibility and reliability, these services are broadly demanded. Clients can acquire these services at most affordable rates.